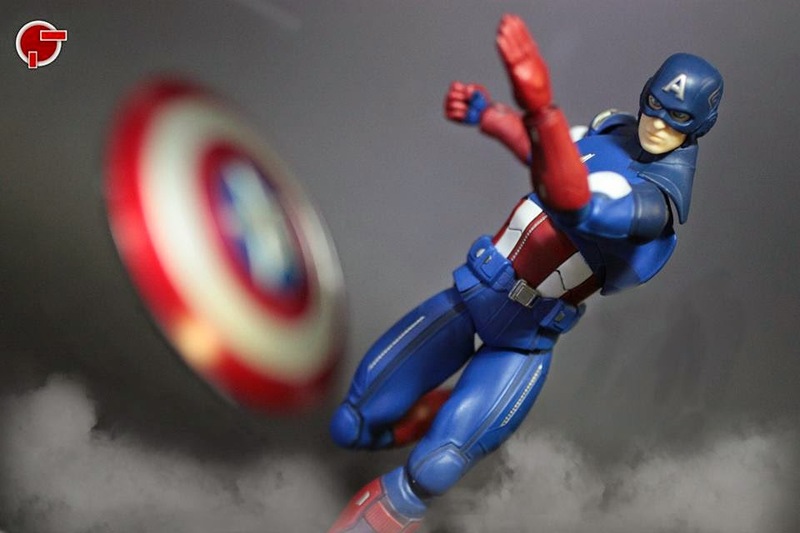 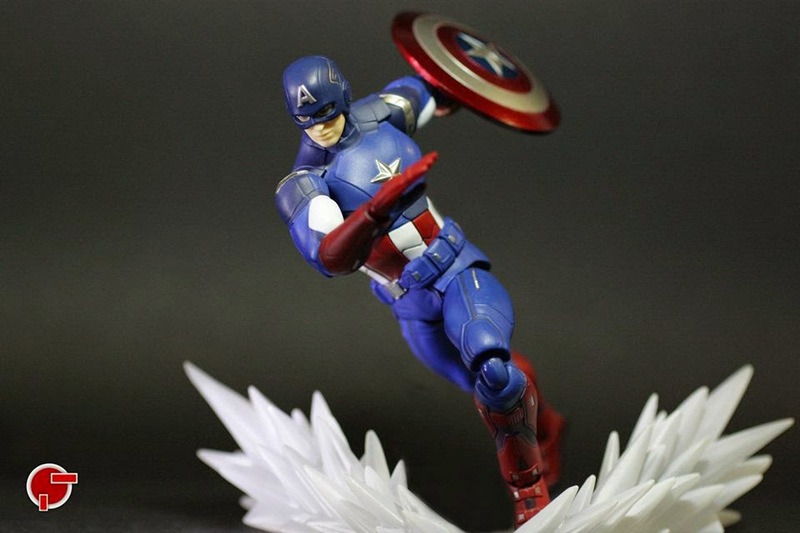 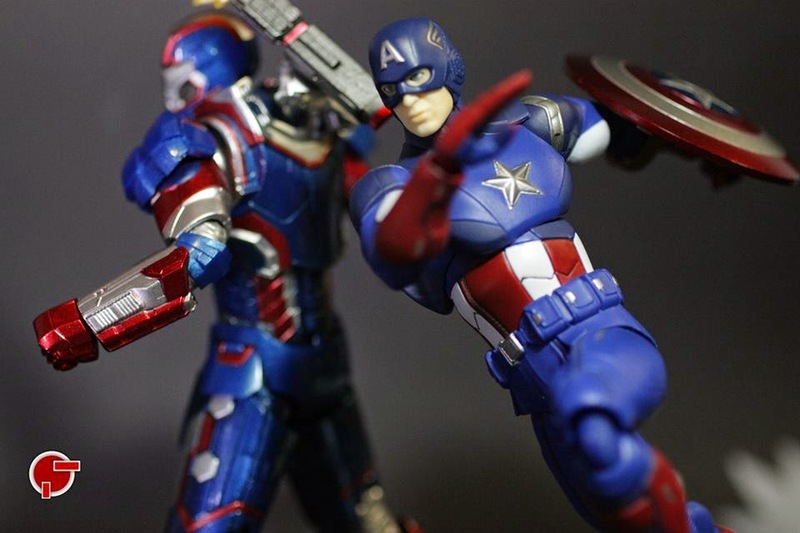 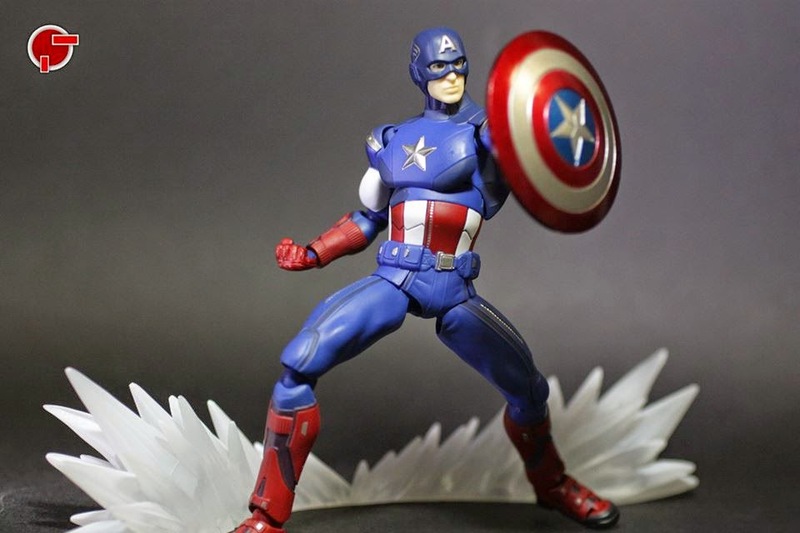 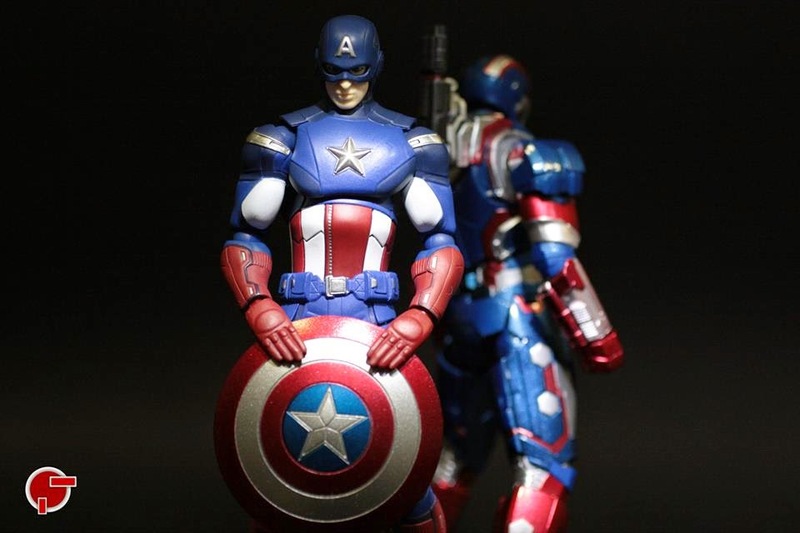 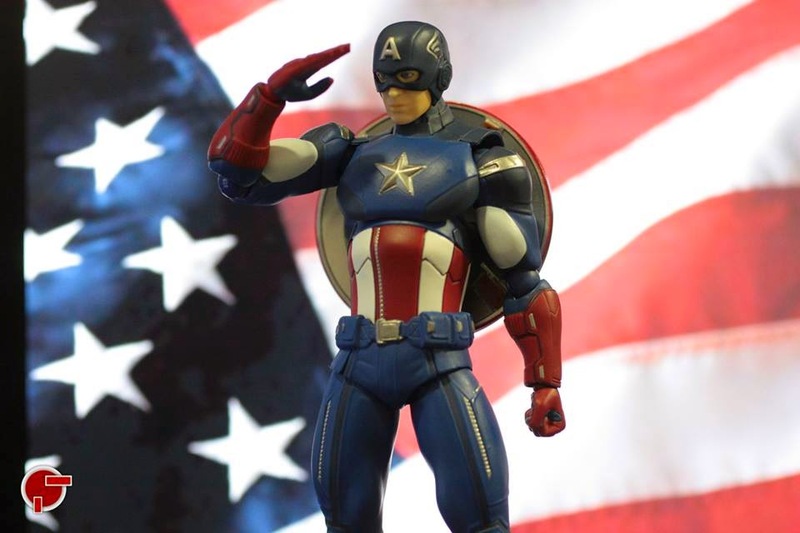 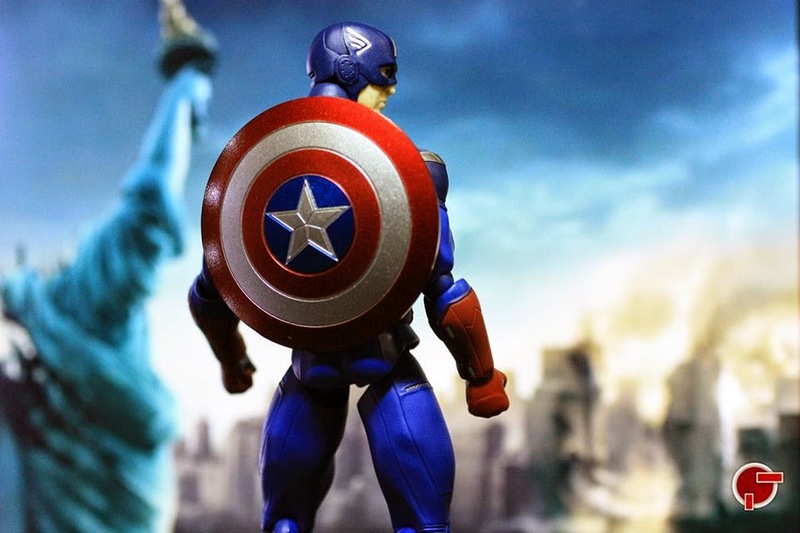 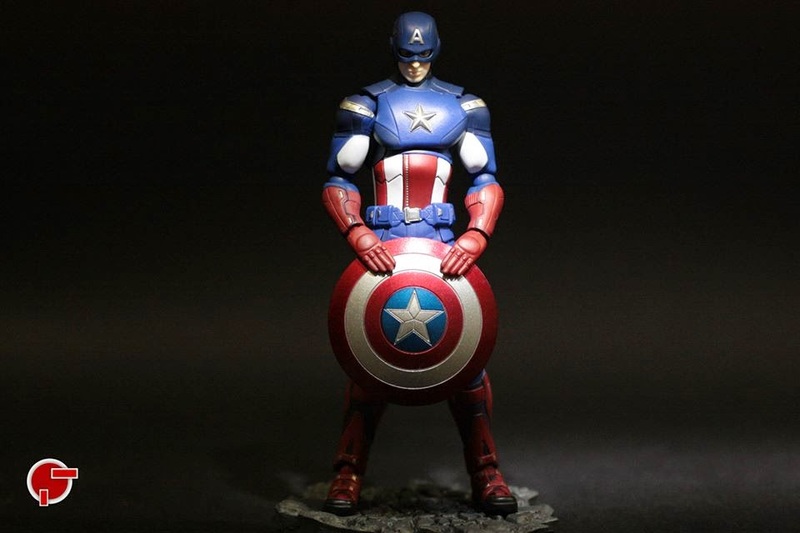 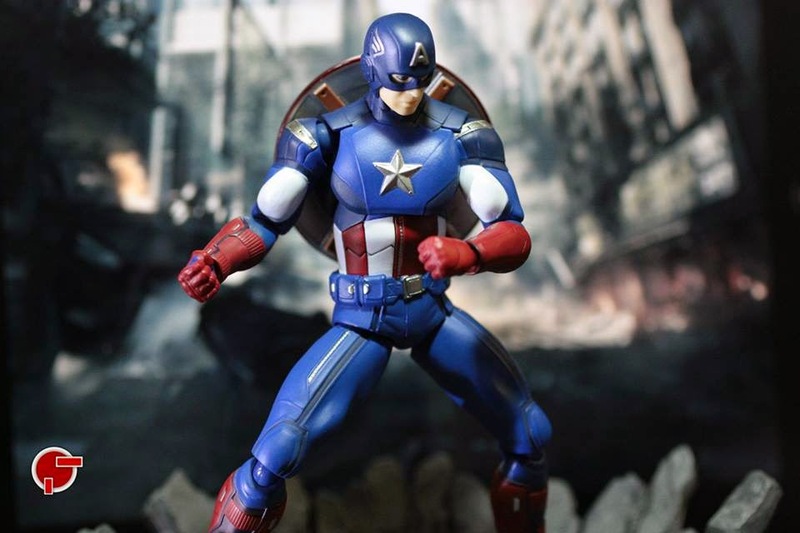 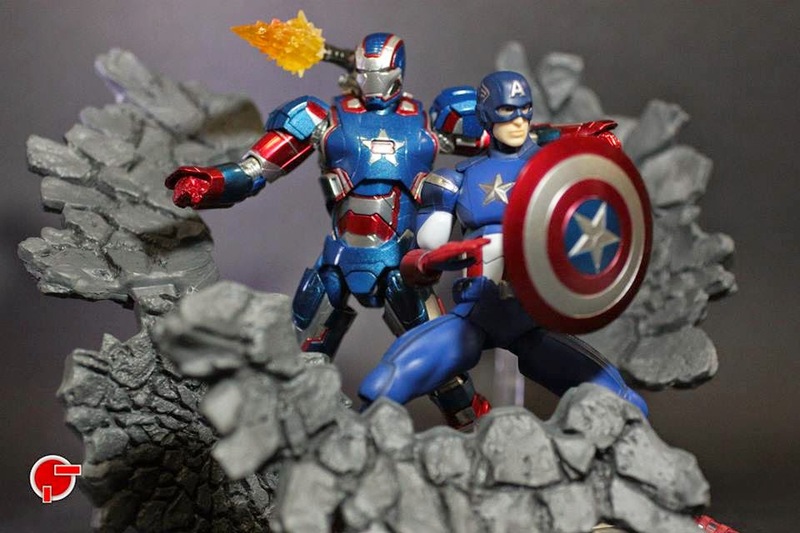 Another Marvel character joins the Figma line-up with the first Avenger, Captain America. 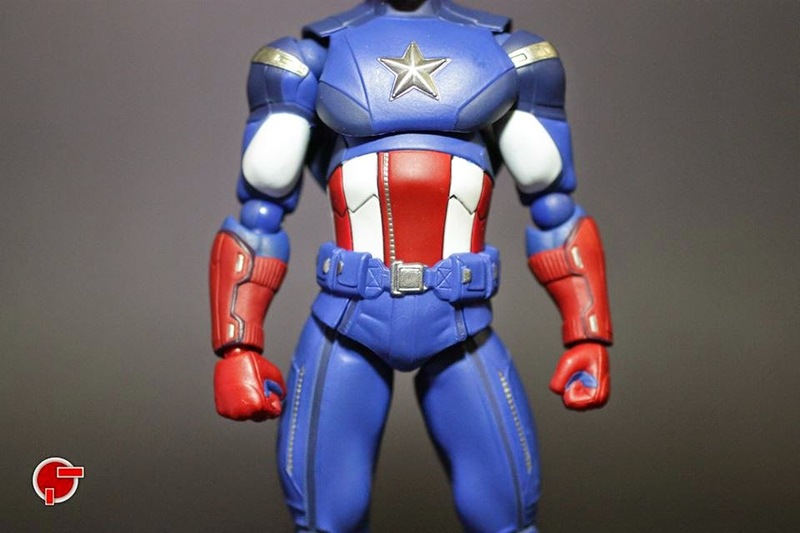 Based on the first Avenger movie, the Captain uses a more modern design but still contains that stars and stripes motif. 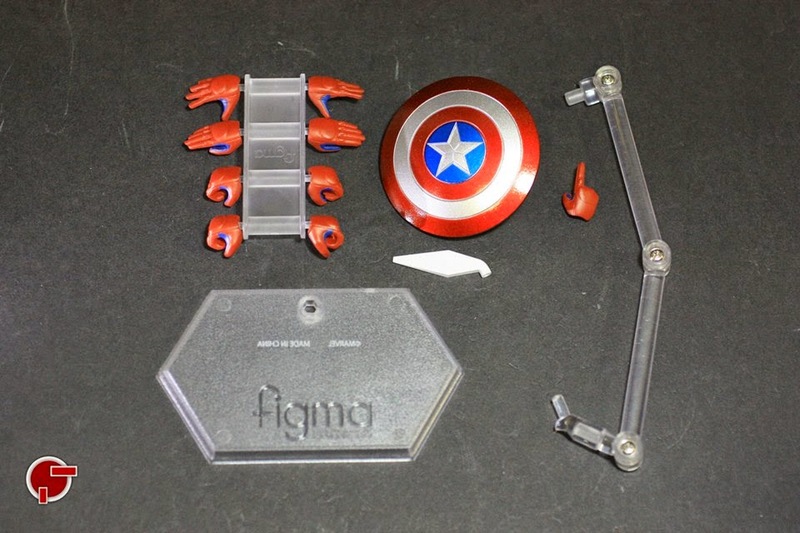 Extra parts includes 9 extra wrist replacements, an eye picker, his shield and of course a Figma stand. 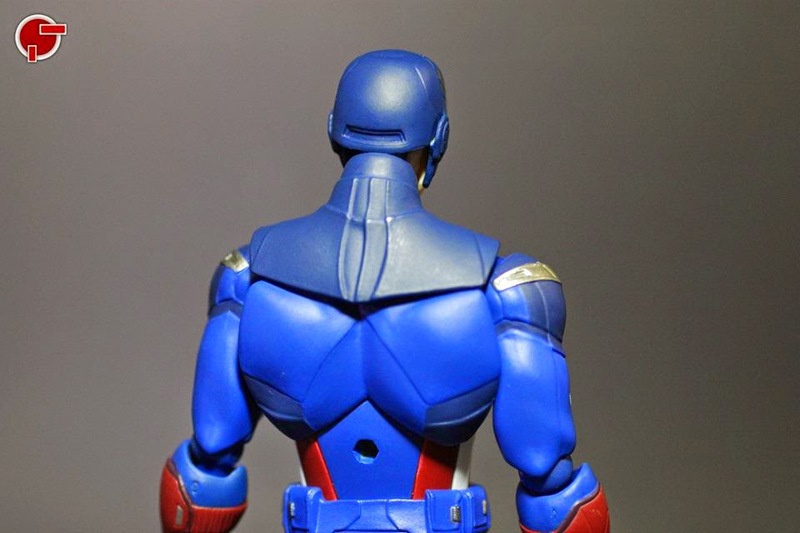 Just like other Figma characters, the stand attaches at the back of the figure to give more dynamic poses. 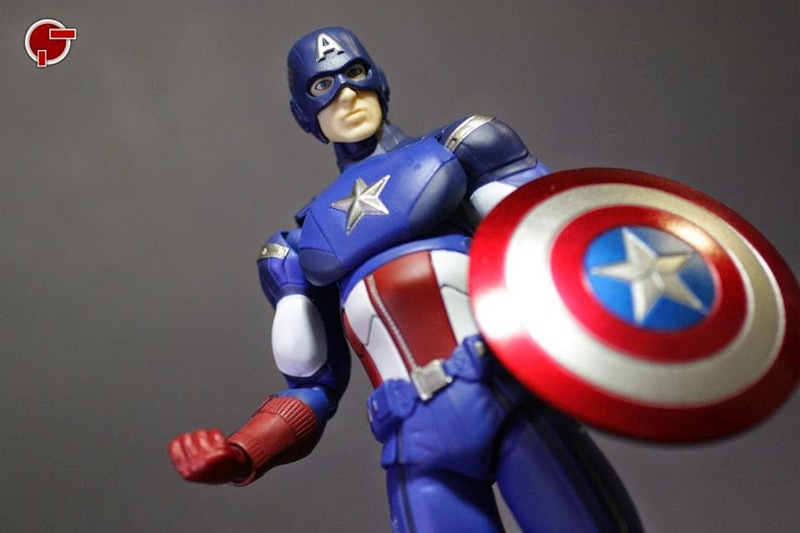 The shield can be placed on any side of the arm, but I suggest attaching the wrist on the handle first; then clip the arm and the bigger strap to secure in place. 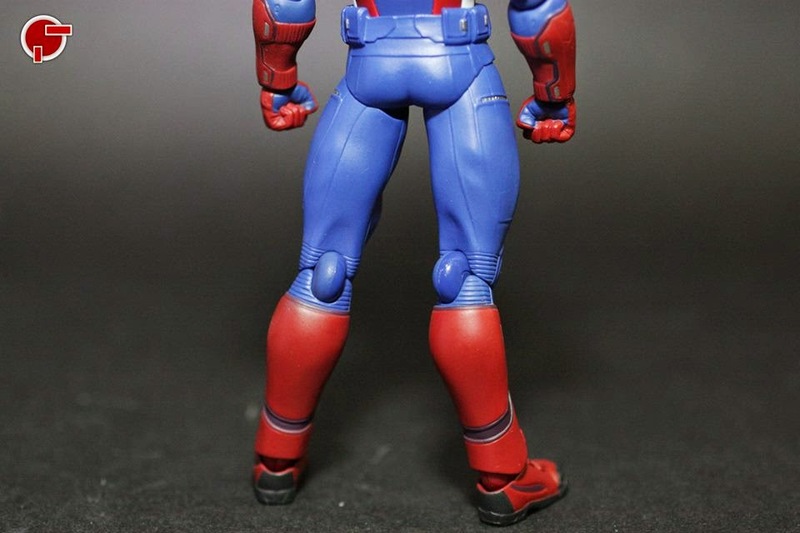 The picker helps the eyes move in any possible direction. 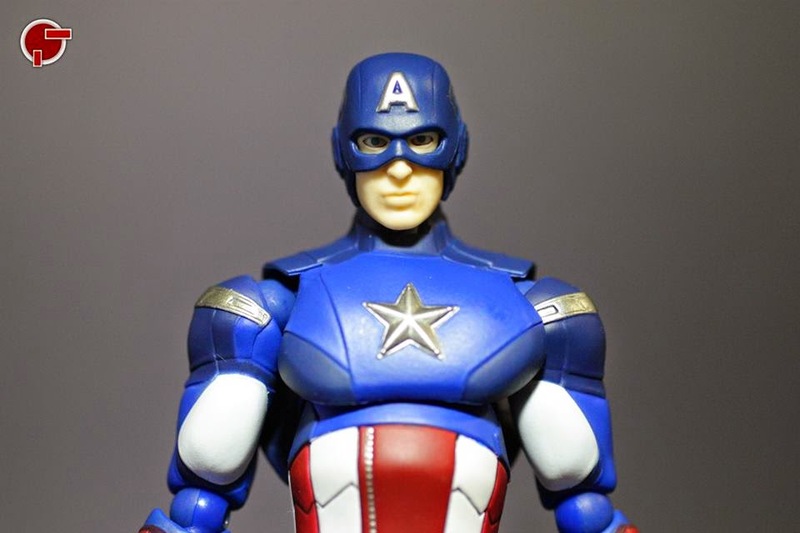 I thought that the face sculpt would be bad because Figma is not really known their accuracy. 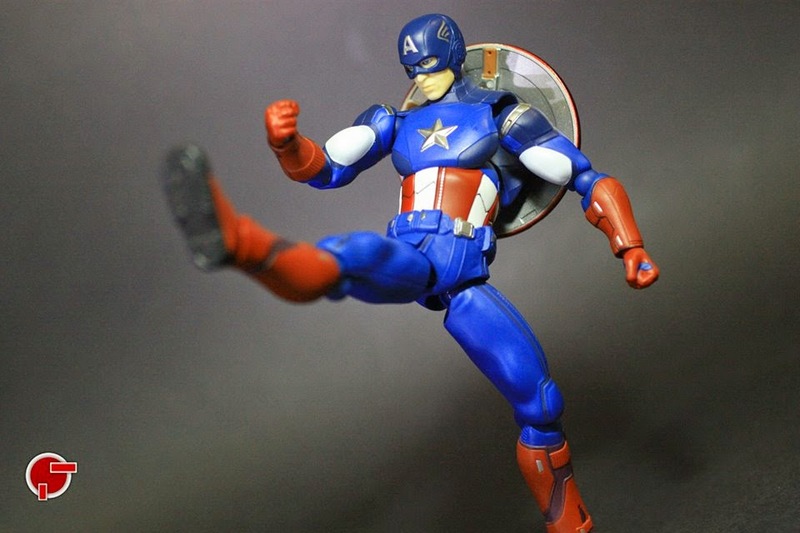 I am not saying that it is great but decent nonetheless. 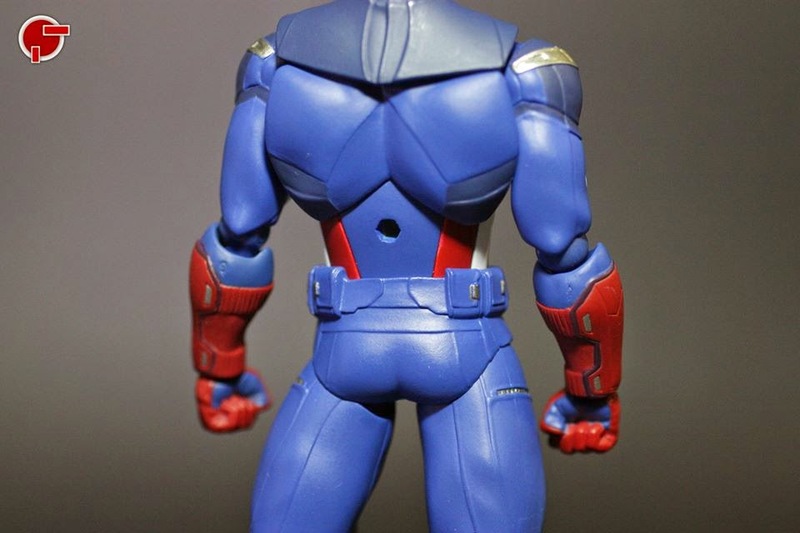 Some parts on the figure are off but fade when you start working on those memorable poses. 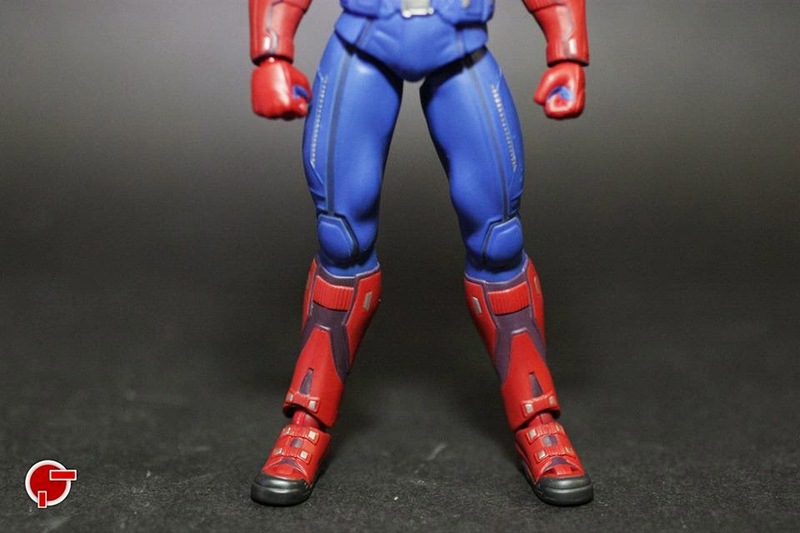 Extra parts are also enough to do almost everything. 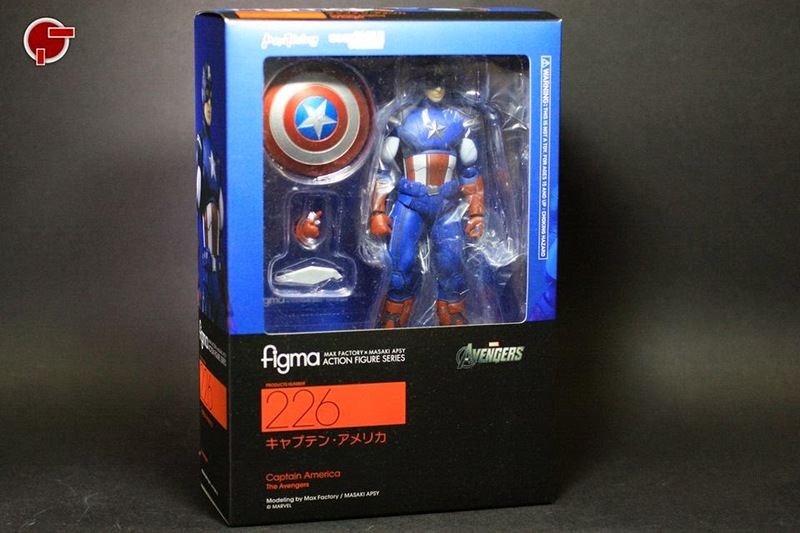 Too bad that you can’t attach the shield at the back of the figure.